Your guests will spend up to an hour out in the gym with one of our high energy funologists. They will play all kinds of fun games on our big soft purple carpet. 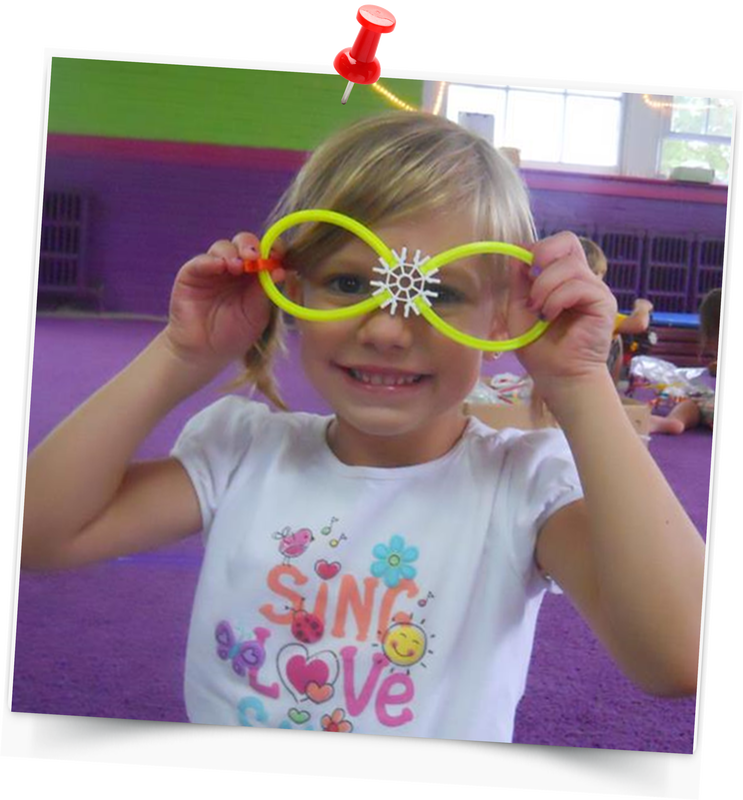 We'll be doing crazy stuff like noodle hockey, parachute, hula hoops and other fun games. Keep in mind that this is not a gymnastics class. We keep the party guests off the bars and balance beams. If the instructors feel it's safe we may do some bouncing on the tumble track. 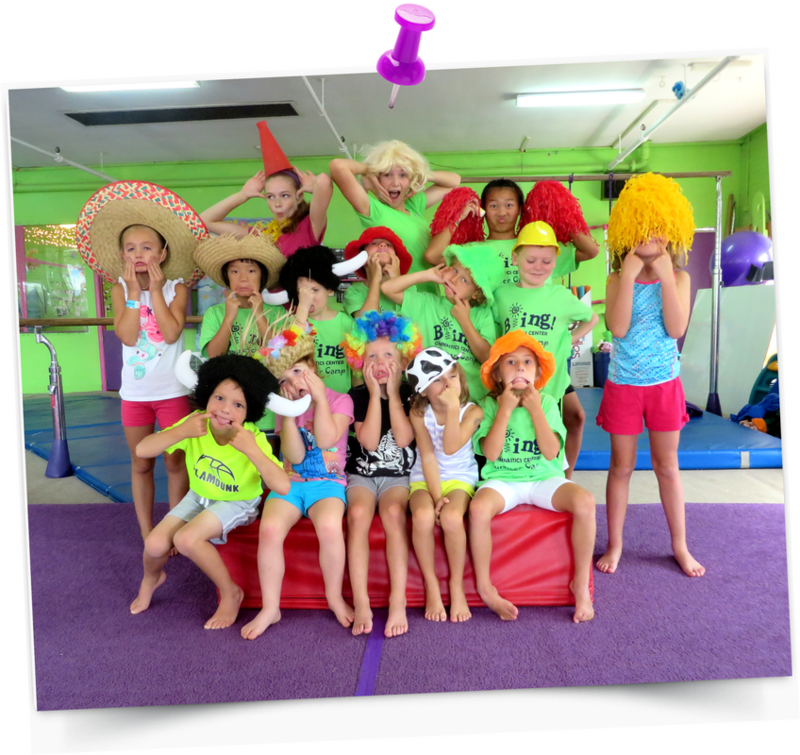 Most of our moms and dads share our feelings that gymnastics is best taught safely in a structured class environment. After the games the kids head into the family room area where we have a large table set up for you to use any way you want. You can use this time to order in pizza, eat ice cream, open presents etc. Your guest's fun is in the hands of people who take fun seriously. Our fully trained staff will lead all the games and activities for up to 60 minutes of non-stop good times. When you come in to book your party we will give you all the invitations and envelopes you need. 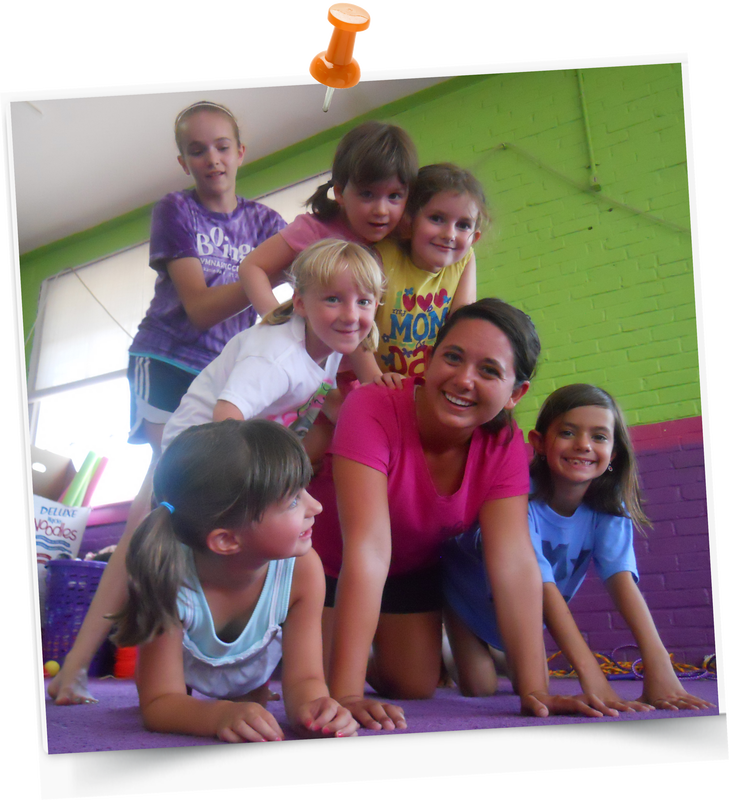 Guest can receive a coupon for discounted gymnastics classes at Boing! And the best part of all... no mess to clean up. That's right. After 90 minutes of fun you can just take off and leave the mess to us. What does a party cost? Parties at Boing are $155 for the first ten kids. Then $10 per child thereafter. 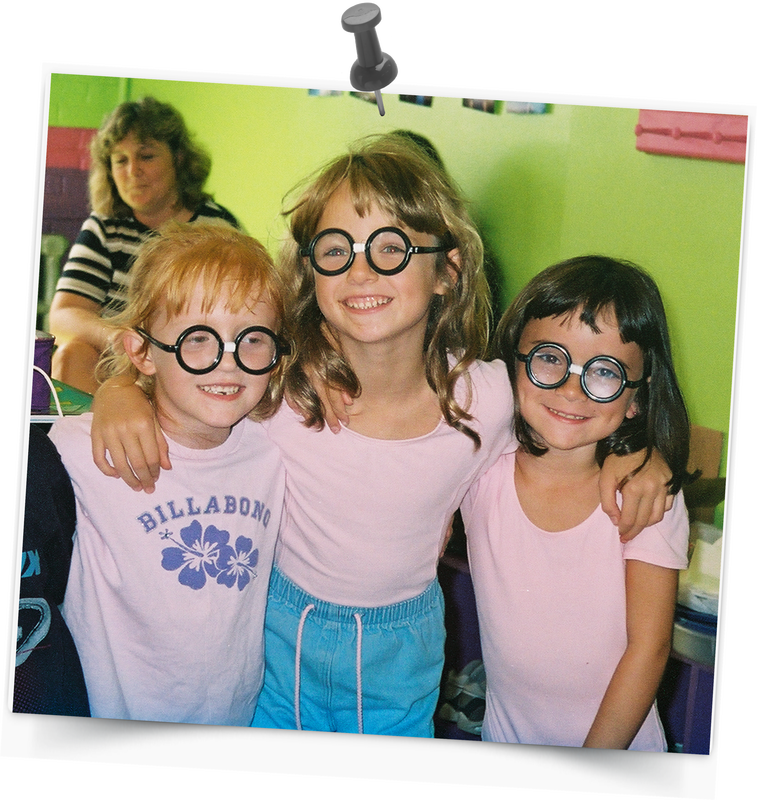 The party activities at Boing are designed to work with kids aged 4 and older. (See below for exceptions). Guests younger than this really don't have the attention skills to participate safely in the activities and usually end up drifting off around the gym where they can get themselves into trouble. As this would create a safety problem we recommend that your guests aged three and under remain under the supervision of adults and play with our toys in the family room area. (They enjoy that more anyway.) You are only charged for kids who come out into the gym to play the games. If all (or almost all) of the guests are aged three or younger we can run an adult/kid party. This is where a moms and dads come in with their child and we arrange the activities around parents and their kids having fun together. This way we have a one on one supervision and everyone has fun and stays safe. If most of your guests are under the age of six we suggest limiting the party to about 16 or less. If most of your guests will be over the age of six we can accommodate up to 24. If you want to invite more than 24 we would need to know ahead of time to make arrangements for additional staff. Only if you bring enough for us. Just kidding. Most of our hosts bring some kind of treats. You can keep it simple with cup cakes or go nuts and call in Dominos pizza. It's up to you. You will need to bring plates, cups and silverware etc. When do you do parties? Every Saturday at 10:30am... 12:30pm... and 2:30pm. Stop in at the gym or call us to check availability. Reservations must be made in person at the gym. We require a $50 deposit to hold your date with the balance due on the day.